Last week the Casino Rewards casinos brought you sun, sea and sand, so this week they thought they'd flip the thermometer and cool you off with a couple of ice cold promos! 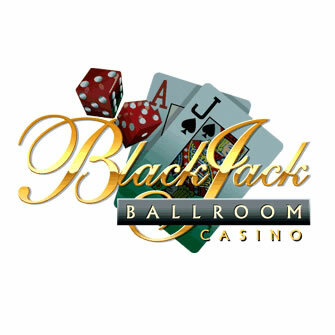 Prepare a warm cup of tea and a hot water bottle and join Blackjack Ballroom and the other Casino Rewards casino on the slopes for some slippery fun... Have fun in the casino and be sure to keep checking our site for more great promotions. We'll be honest with you here – we're not entirely sure what the theme of Cabin Fever is supposed to be... squirrels gathering nuts, frozen fruit, bears playing the drums, bears on the phone, bears drinking beer... it's certainly an original concept! However, one thing's for sure – there's a lot of money to be won! The Sun symbol scattered on reels 1 and 5 will activate 20 Free Spins, where all wins are doubled. Bet up to 50 cents a spin to receive 5,000 times that amount if you hit the jackpot. Play Cabin Fever this week, and the top 5 wagerers each day will receive $100 into their Rewards casino account. Set high up in a Canadian ski resort, you'll be taught to ski by a rugged and handsome ski instructor, surrounded by a voluptuous team of ski babes – a sure fire way to get good at skiing quickly! Hit the slopes whatever your level, with just a 1 cent starting bet to get a piece of the action, and keep your eyes peeled for the Ski Resort Scatters, which can activate up to 30 Free Spins with a 5x Multiplier. Try your hand at Snow Honeys this weekend and 10 LuckyPlayers will be chosen to receive $100 per day.